We wanted to send a Christmas gift to our clients and suppliers to thank them for their support throughout the year. 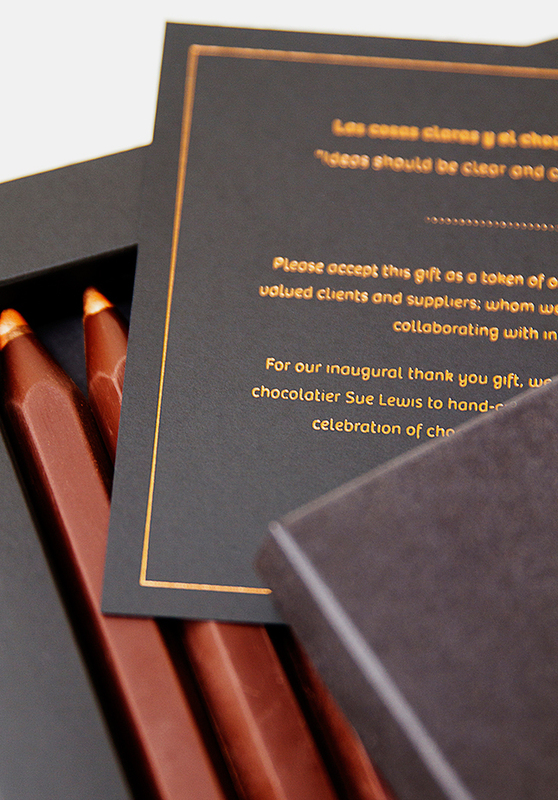 We commissioned artisan chocolatier Sue Lewis to handcraft a range of bespoke pencils in a promotion that celebrated chocolate and innovative ideas. 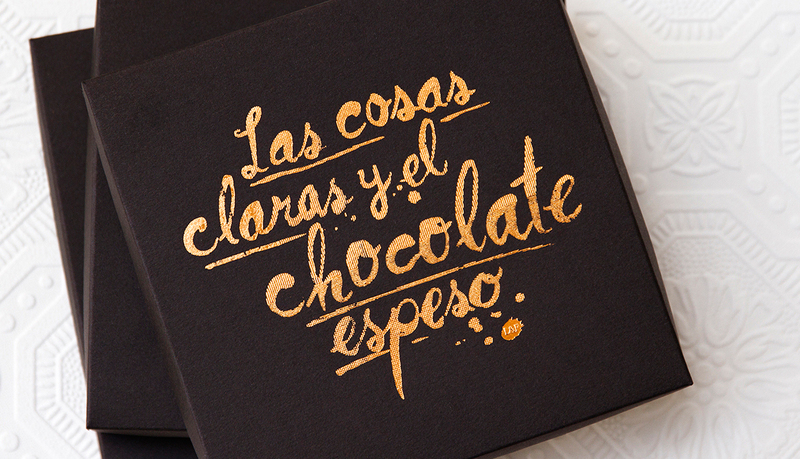 The hand-drawn type features a Spanish saying, which translates to: ‘ideas should be clear and chocolate thick’. 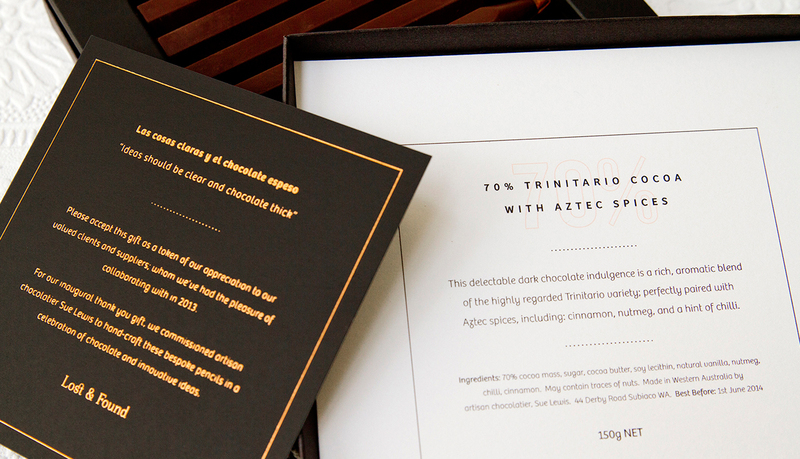 After a fantastic response from recipients, the project was featured on The Dieline and Packaging of the World. 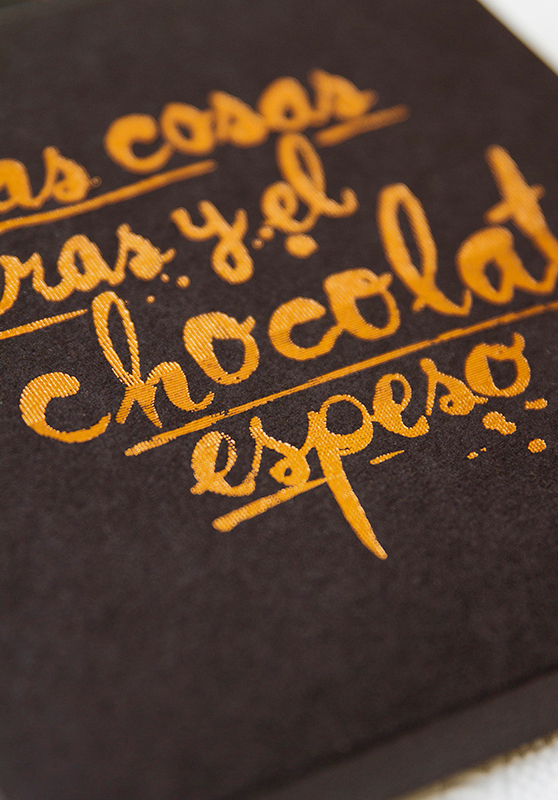 We also won a Communication Arts typography award, and a How Magazine self promotion award for this project.